GREEN was initially formed in 2004 between SIUE, Green Roof Blocks™ (a former subsidiary company of St. Louis Metalworks Co.), Jost Greenhouses, Midwest Trading Horticultural Supplies, Inc., Midwest Groundcovers, Emory Knoll Farms and Greenroofs.com. All research studies are fully replicated scientific experiments that incorporate repeated evaluations in replicated study plots over extended time periods. We involve students to train future experts in environmental systems research and innovation. 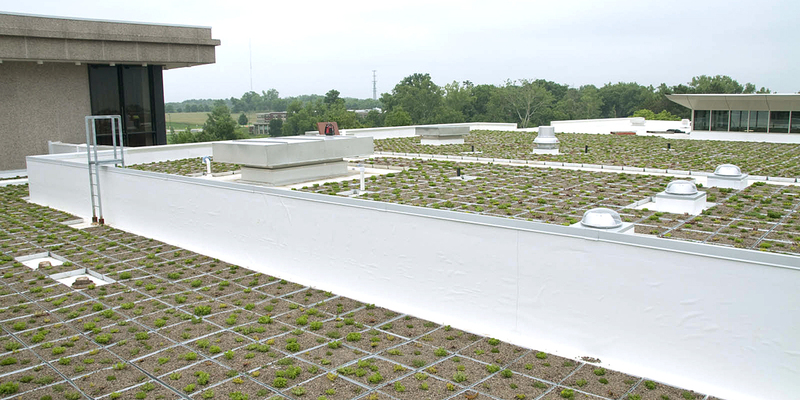 On September 26, 2018, Green Roofs for Healthy Cities and its charitable arm, the Green Infrastructure Foundation, named SIUE a Living Architecture Regional Center of Excellence (LARCE). SIUE was one of four higher education institutions in the nation to receive the honorable designation. LARCE will advance the work of GREEN and strengthen living architecture and green infrastructure knowledge and engagement in the region through collaborative professional education, research and policy advocacy.